^ "Power boost North Cyprus". Retrieved 18 July 2011. The Assembly of the Republic (Turkish: Cumhuriyet Meclisi) is the parliament of the Turkish Republic of Northern Cyprus. It has 50 members, elected for a five-year term by mitigated proportional representation. A party must cross the election threshold (5% of the total vote) to be awarded any seats. The parliament is composed of 50 MPs, chosen from six electoral districts, which are coterminous with the districts of Northern Cyprus: Lefkoşa, Gazimağusa, Girne, Güzelyurt, Lefke and İskele. In Northern Cyprus parliamentary elections, voters vote for individual candidates. There are two ways of voting. Voters can vote for a party, which in effect is voting for every MP candidate from that party in that district once. The voter can further prioritize the MPs in this kind of voting. Alternatively, the voter may not choose a party, but vote for candidates from different parties. In this kind of mixed voting, the voter cannot choose more than the number of MPs the district is allotted. The CONIFA European Football Cup is an international football tournament organized by CONIFA, an umbrella association for states, minorities, stateless peoples and regions unaffiliated with FIFA, planned to be held every two years beginning with 2015. The 2017 edition was in Northern Cyprus. The culture of Northern Cyprus is the pattern of human activity and symbolism associated with Northern Cyprus and Turkish Cypriots. It features significant elements influenced by or developed upon the culture of Turkey, but combines these elements with a unique Cypriot approach and local traditions (in common with Greek Cypriots), as well as several other influences, such as the British and contemporary western cultures. Cyprus ( (listen); Greek: Κύπρος [ˈcipros]; Turkish: Kıbrıs [ˈkɯbɾɯs]), officially the Republic of Cyprus (Greek: Κυπριακή Δημοκρατία; Turkish: Kıbrıs Cumhuriyeti), is an island country in the Eastern Mediterranean and the third largest and third most populous island in the Mediterranean, located south of Turkey, west of Syria and Lebanon, northwest of Israel, north of Egypt, and southeast of Greece. The earliest known human activity on the island dates to around the 10th millennium BC. Archaeological remains from this period include the well-preserved Neolithic village of Khirokitia, and Cyprus is home to some of the oldest water wells in the world. Cyprus was settled by Mycenaean Greeks in two waves in the 2nd millennium BC. As a strategic location in the Middle East, it was subsequently occupied by several major powers, including the empires of the Assyrians, Egyptians and Persians, from whom the island was seized in 333 BC by Alexander the Great. Subsequent rule by Ptolemaic Egypt, the Classical and Eastern Roman Empire, Arab caliphates for a short period, the French Lusignan dynasty and the Venetians, was followed by over three centuries of Ottoman rule between 1571 and 1878 (de jure until 1914).Cyprus was placed under the UK's administration based on the Cyprus Convention in 1878 and was formally annexed by Britain in 1914. While Turkish Cypriots made up 18% of the population, the partition of Cyprus and creation of a Turkish state in the north became a policy of Turkish Cypriot leaders and Turkey in the 1950s. Turkish leaders for a period advocated the annexation of Cyprus to Turkey as Cyprus was considered an "extension of Anatolia" by them; while, since the 19th century, the majority Greek Cypriot population and its Orthodox church had been pursuing union with Greece, which became a Greek national policy in the 1950s. Following nationalist violence in the 1950s, Cyprus was granted independence in 1960. The crisis of 1963–64 brought further intercommunal violence between Greek Cypriots and Turkish Cypriots, which displaced more than 25,000 Turkish Cypriots into enclaves and brought the end of Turkish Cypriot representation in the republic. On 15 July 1974, a coup d'état was staged by Greek Cypriot nationalists and elements of the Greek military junta in an attempt at enosis, the incorporation of Cyprus into Greece. This action precipitated the Turkish invasion of Cyprus on 20 July, which led to the capture of the present-day territory of Northern Cyprus in the following month, after a ceasefire collapsed, and the displacement of over 150,000 Greek Cypriots and 50,000 Turkish Cypriots. A separate Turkish Cypriot state in the north was established by unilateral declaration in 1983; the move was widely condemned by the international community, with Turkey alone recognizing the new state. These events and the resulting political situation are matters of a continuing dispute. The Republic of Cyprus has de jure sovereignty over the entire island, including its territorial waters and exclusive economic zone, with the exception of the Sovereign Base Areas of Akrotiri and Dhekelia, which remain under the UK's control according to the London and Zürich Agreements. However, the Republic of Cyprus is de facto partitioned into two main parts: the area under the effective control of the Republic, located in the south and west, and comprising about 59% of the island's area; and the north, administered by the self-declared Turkish Republic of Northern Cyprus, covering about 36% of the island's area. Another nearly 4% of the island's area is covered by the UN buffer zone. The international community considers the northern part of the island as territory of the Republic of Cyprus occupied by Turkish forces. The occupation is viewed as illegal under international law, amounting to illegal occupation of EU territory since Cyprus became a member of the European Union.Cyprus is a major tourist destination in the Mediterranean. With an advanced, high-income economy and a very high Human Development Index, the Republic of Cyprus has been a member of the Commonwealth since 1961 and was a founding member of the Non-Aligned Movement until it joined the European Union on 1 May 2004. On 1 January 2008, the Republic of Cyprus joined the eurozone. The Cyprus dispute, also known as the Cyprus conflict, Cyprus issue, or Cyprus problem, is an ongoing dispute between Greek Cypriots and Turkish Cypriots in the aftermath of the 1974 Turkish military invasion and occupation of the northern third of Cyprus. Although the Republic of Cyprus is recognized as the sole legitimate state – sovereign over all the island – the north is under the de facto administration of the self-declared Turkish Republic of Northern Cyprus, which is guarded by Turkish Armed Forces. Only Turkey recognizes the Turkish Republic of Northern Cyprus, while there is broad recognition that the ongoing military presence constitutes occupation of territories that belong to the Republic of Cyprus. According to the European Court of Human Rights, the Turkish Republic of Northern Cyprus should be considered a puppet state under effective Turkish control.Initially, with the occupation of the island by the British Empire from the Ottoman Empire in 1878 and subsequent annexation in 1925, the "Cyprus dispute" was identified as the conflict between the people of Cyprus and the British Crown regarding the Cypriots' demand for self-determination. The British administration shifted the dispute from a colonial dispute to an ethnic dispute between the Turkish and Greek islanders. The international complications of the dispute stretch beyond the boundaries of the island of Cyprus itself and involve the guarantor powers under the Zürich and London Agreement (Turkey, Greece, and the United Kingdom), the United Nations and the European Union, along with (unofficially) the United States.The 1974 Cypriot coup d'état, ordered and executed by the Greek military junta, was followed five days later by Turkey's invasion/intervention, leading to the occupation of the northern part of the internationally recognized Republic of Cyprus. In 1983, the Turkish Cypriot community unilaterally declared independence, forming the Turkish Republic of Northern Cyprus, a sovereign entity that lacks international recognition with the exception of Turkey, with which Northern Cyprus enjoys full diplomatic relations, in violation of Resolution 550, adopted on 11 May 1984 by the United Nations Security Council. Northern Cyprus is divided into six districts, which are further divided into 12 sub-districts. Each district is governed by a Governor. On 27 December 2016, the Assembly of the Republic unanimously decided that the Lefke sub-district would be separated from the Güzelyurt District, establishing the Lefke District as the sixth district of Northern Cyprus. Education in Northern Cyprus is organized by the Ministry of National Education and Culture. 5 years of primary education is mandatory. As of 2015, Kemal Dürüst is the Minister of National Education and Culture. The flag of the Turkish Republic of Northern Cyprus (TRNC) (Turkish: Kuzey Kıbrıs Türk Cumhuriyeti Bayrağı) is based on the flag of Turkey with the colors reversed and two horizontal red stripes added at the top and bottom. The flag was drawn by Turkish Cypriot artist Emin Çizenel. It was adopted in 1984 by the TRNC, a self-declared state that is recognised only by Turkey, after its unilateral declaration of independence in 1983. The TRNC succeeded the Turkish Federated State of Cyprus, also self-declared and recognized only by Turkey, which had been established in 1975 following the 1974 Turkish invasion of Cyprus, and had used the flag of Turkey. Current airlines in the Turkish Republic of Northern Cyprus. Turkish Republic of Northern Cyprus has no active airlines. This is a list of cities, town and villages in Northern Cyprus. The list first lists the Turkish name followed by the English name. Politics of Northern Cyprus takes place in a framework of a semi-presidential representative democratic republic, whereby the president is head of state and the prime minister is the head of government, and of a multi-party system. Executive power is exercised by the government. Legislative power is vested in both the government and the Assembly of the Republic. The judiciary is independent of the executive and the legislature. Since the Turkish invasion of 1974, the Republic of Cyprus has been divided: the northern third of the island was unilaterally declared to be the Turkish Republic of Northern Cyprus (TRNC) by its Turkish Cypriot population. The United Nations considers the declaration of independence of Northern Cyprus to be legally invalid and calls for the withdrawal of troops from Turkey that invaded the island in support of the Turkisk Cypriot minority. The government of Northern Cyprus has not been diplomatically recognized except by the Government of Turkey since its unilateral declaration of independence in 1983. In 1974, the Greek-backed Cypriot National Guard took over the government in a coup. Turkey sent troops in response, claiming it had authority under the 1960 Treaty of Guarantee, Turkish Cypriots set up their own institutions as the "Turkish Federated State of North Cyprus". In 1983, the Turkish Cypriots unilaterally declared independence as the Turkish Republic of Northern Cyprus (TRNC). In 1985, they adopted a constitution and held elections—an arrangement thus far recognized only by Turkey. The president is elected every five years. Presidential elections are held in two rounds if no candidate gains more than 50% of the votes in the first round. It is necessary that the president is originated from the island of Cyprus. It is also necessary that he/she has lived in the country for five years, has received secondary education and he/she is over 30 years old.The presidency is not a ceremonial position in the semi-presidential political system of Northern Cyprus. The President reserves the right to dismiss the Assembly of the Republic in case a government cannot be formed within sixty days or three successive governments receive votes of no confidence. He or she also can preside over the Council of Ministers if he or she wishes to do so, approves the appointments of the judges and president of the Supreme Court and has the right to send laws approved by the Assembly of the Republic to the Supreme Court. The President has also traditionally been the chief negotiator for the resolution of the Cyprus dispute and been responsible for the foreign relations of Northern Cyprus.The president is represented by the speaker of the Assembly of the Republic when the president is abroad. The Turkish Republic of Northern Cyprus takes place in a framework of a semi-presidential representative democratic republic, whereby the President is head of state and the Prime Minister head of government, and of a multi-party system. Executive power is exercised by the government. Legislative power is vested in both the government and the Assembly of the Republic. The judiciary is independent of the executive and the legislature. The Prime Minister must control a majority of parliament in order to govern. There have been ten Prime Ministers of Northern Cyprus since 1983. 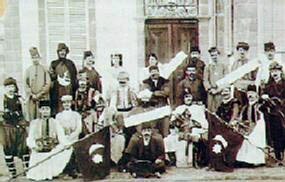 The premiership's precursor was a post known as the "President of the Turkish Cypriot Communal Chamber". The only man to occupy this post was Rauf Denktaş from December 29, 1969 to July 5, 1976. There were three prime ministers before the Turkish Cypriot community's unilateral declaration of independence in 1983. The Security Forces Command (Turkish: Güvenlik Kuvvetleri Komutanlığı) is the military and security force of the Turkish Republic of Northern Cyprus, whose independence is recognized only by Turkey and which the United Nations considers to be a Turkish-occupied territory. It is a 9,000 strong force primarily made up of conscripted Turkish Cypriot males between the ages of 18 and 40. It is a combined arms force, with land, air and naval elements. This force is supplemented by the 17,500 - 30,000 strong Turkish Military Forces in Northern Cyprus stationed on the island. Most of the visitors to Northern Cyprus do not need to obtain a visa in advance for short visits. Northern Cyprus has no active women's shelters. In 2014, the parliament unanimously voted to establish a department promoting gender equality, which is establishing institutions for women's welfare.